Day to day office work is infamous for the toll it takes on one’s body. This often results in chronic body pain and poor posture. The good news is that technology has caught up to match the ever growing need of office workers for reducing if not eliminating these negative effects. This is achieved using a combination of ergonomic designs dedicated to better weight distribution on pressure points, with an emphasis on reducing spine pressure. 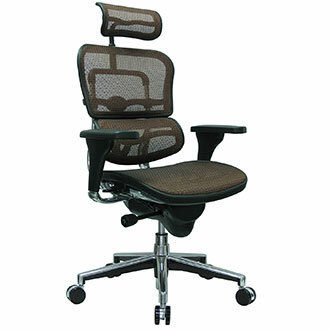 One of the leading players designed to fight the effects of extended sitting periods is the CanDo 30-1791 Ball Chair. 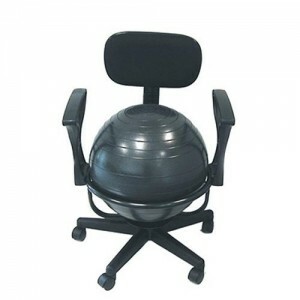 It features an inflatable 55 centimeter exercise ball which, combining the scientifically proven positive effects of a ball chair therapy, with the classic office chair construction. It also incorporates casters for easy gliding on any hard surface or carpets. 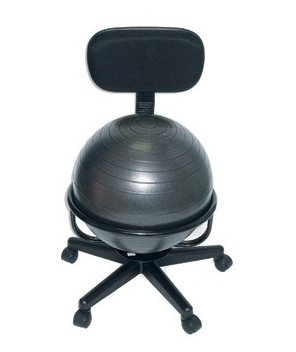 It is no coincidence that the CanDo Ball Chair is often prescribed by chiropractors for office workers with back aches. Its ergonomic design focuses on significantly reducing the common pressure that old school seating arrangements place on your neck as well as lower back. Being available with or without arms gives further freedom to those with larger frames, or those who prefer armless usage. The inflatable ball incorporated in the design of this model equals and even surpasses those found in various gyms and health centers. While its mobile capabilities make it fit for both home and office use, office workers will find it even more practical for daily activities. Due to the high quality and sturdy construction of the ball it can be used for both rehabilitation of existing conditions, and daily exercises. From ab workouts to stretching sessions, improving blood flow and getting a nice energy boost which translates to better work results. Despite the many benefits that the CanDo provides, its armrests could be drastically improved by making them adjustable. In addition, there’s a slight squeaking sound which may or may not be an issue for some consumers. However, this is common with these types of models and isn’t necessarily product specific. While more of an inconvenience than an actual issue, the pump set that Cando provides is quite inefficient. Purchasing a separate pump would makes a world of difference and his highly recommended. The CanDo Ball Chair does what it sets out to do considerably well, and it does so without sacrificing style, something that other models often fail to do. While the armrest capabilities aren’t ideal, the choice of removing them or ordering an armless design makes this less of an issue. The quality of the ball itself is exceptional and results in a better ergonomic support and weight distribution. Overall, those looking for a way to introduce a healthier sitting arrangement for extended office work would be wise to go for this model.